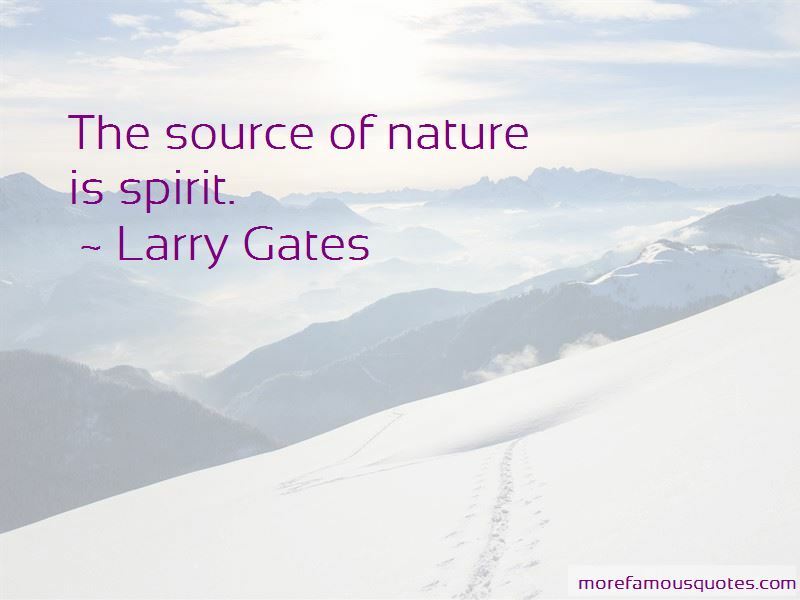 Enjoy the top 3 famous quotes, sayings and quotations by Larry Gates. Sycamore trees were held to be sacred in ancient Egypt and are the first trees represented in ancient art. The sycamore, also, was sacred. Peasants gather around them in rituals. In the Land of the Dead there was a sycamore in whose branches the goddess Hathor lived; she leaned out of it giving sustenance and water to deceased souls. 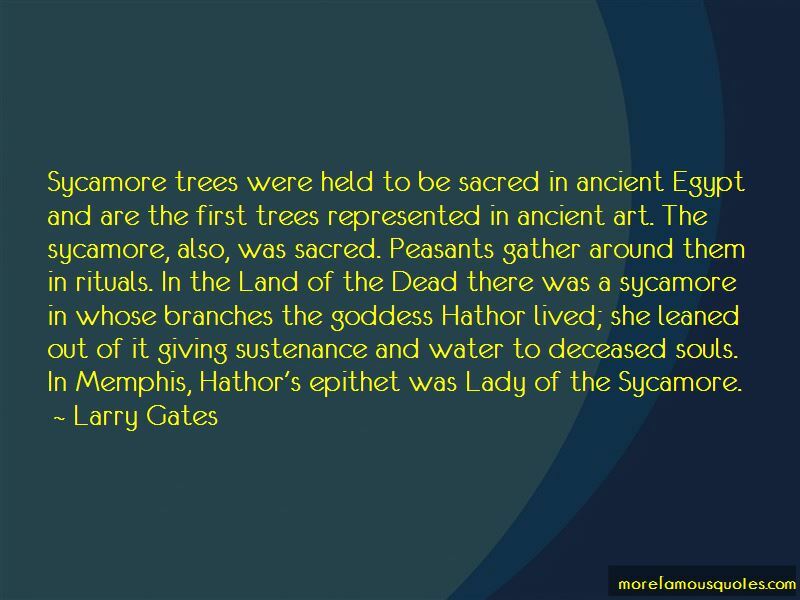 In Memphis, Hathor's epithet was Lady of the Sycamore. The source of nature is spirit. Want to see more pictures of Larry Gates quotes? Click on image of Larry Gates quotes to view full size.